“See if you had sought time (to implement reforms) it was fine. We are not on the question of time frame but this defiant attitude…cricket season or no season more important is transparency in the dealings..We will still leave it open. But BCCI should unconditionally agree to comply with the recommendations and also not disburse money to association who are not willing to reform..We cannot continue with this..We have other things to do..we have people languishing in jails. Their cases are more important for us”. The Chief Justice-led bench of the Supreme Court today asked the BCCI to give an undertaking that it will unconditionally implement the reforms suggested by the Lodha panel in improving the working of the board and usher in transparency and also not disburse money to those state associations who are not ready to implement reforms. But senior lawyer Kapil Sibal, representing the Board sought more time , till October 17 for it saying the “associations had to be consulted” which the bench refused, and said it would pass an order tomorrow. Earlier senior lawyer and former ASG Gopal Subramanium concluded that a clear case of civil and criminal contempt was made out against the Board. They can have reservation about judgments but can they adopt recourse to find out ways and means to subvert it? This is no longer contempt this is criminal contempt administration of justice which is not possible..can a binding judgment be displaced by these process ? he asked. The BCCI row took a sudden new twist with the Lodha panel on September 28 moving the Supreme Court seeking removal of the top brass of the Board , including its President Anurag Thakur and Secretary Ajay Shirke for the continued non-compliance of the directions aimed at sweeping reforms in the structure, functioning and membership to the cricketing body. 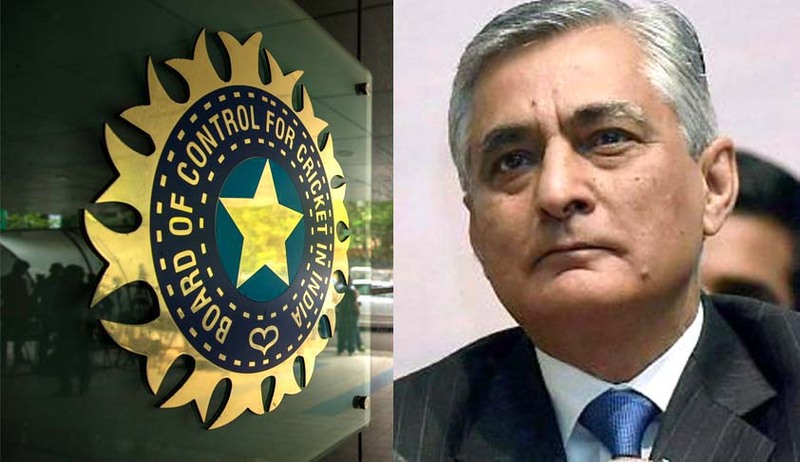 After the panel mentioned it before the apex court, a bench headed by Chief Justice T S Thakur lashed out at the board and also warned of adverse actions saying "If the BCCI thinks that they are law unto themselves, then they are wrong. They have to comply with the directions of the court. You (BCCI) are behaving like Lords. Fall in line otherwise we will make you fall in line. BCCI is bringing the system to disrepute by not following the directions". “BCCI, it seems, will go to the extent of defying court orders. We had been anticipating such disregard from the Board. We don’t appreciate such tactics by the BCCI. We have no difficulty in passing orders to make sure our previous orders are implemented.”, the CJI added. The CJI gave BCCI time till October 6 to file a response to the latest Lodha committee report. “Direct that all decisions of the BCCI taken after 18.7.2016, which are contrary to the judgement dated 18.7.2016 of this Hon’ble Court and/or the directives of the SC Committee for implementing the same are non est and ineffective and any other direction as may be deemed fit for the implementation of the judgement dated 18.7.2016.’’ it added. Trying to pacify the Chief Justice, senior advocate Arvind Datar who appeared for the BCCI said that they have complied with most of the directions and would gradually comply with the rest. What apparently angered the Lodha panel and the SC is the fact that the BCCI not only did not comply with the directions but also went on to file a review petition following a legal advice from ex-Supreme Court judge Justice Markandey Katju whom it had appointed as an adviser on August two. The review petition echoes Katju’s view that the Supreme Court ignored the law that any change in the rules of the BCCI should have been made through a special resolution initiated under the Tamil Nadu Societies Registration Act. “Complaints against the BCCI should have been filed before the Registrar of Societies, who is the competent authority under the Act”, it said.